As fully prepared and experienced motor specialists, our mechanics arrive at your preferred location with what they need to service your vehicle, no matter what the make and model. In your area our mechanics have commonly serviced Toyota, Holden and Ford. Servicing all vehicle types on site, our most recent services in your area have included Chrysler, Great Wall and Hyundai. Any and all parts required for your vehicle are sourced quickly, our mechanics choosing only the best part available at the highest quality like ball joint replacement, macpherson struts and master cylinder. I would like to compliment Michael van S07 for his work done on an old vehicle. I was also surprised that lube mobile also do tyres and as I required 2 I was about to ask if he recommended a place when he informed me of that servic ice also. Hence quick call out for Steve who came and all done without a hitch. He quoted me cheaper than I had received elsewhere. So convenient to come out to you. I will be getting Michael o out to do my next service on my RAV4. I have already recommended him to a few people. The mechanic was very professional and seemed like a good guy. Would definitely recommend his services to anybody. Great work. There was no need for written quote as I had already affirmed on the initial booking call one was not needed and the work to be completed was approved by myself to be done. No matter what your vehicle type including Saab or Mazda, on of our 33 vehicle specialists in Brisbane South will service your vehicle to industry leading standards. Our recently serviced clients have provided over 47 positive reviews from the Brisbane South region. Front cylinder brake need fixing lower control arm bushing. Let us come to you. The easiest and most convenient way to ensure that you keep your service history up to date and on top of your car repairs is to have everything you need done at home, the office or wherever else you happen to be. 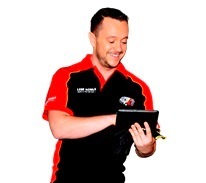 Our mobile mechanics are attending Springwood, Parkinson, Sunnybank and Alexandra Hills. We are everywhere and everywhen you need us to be. 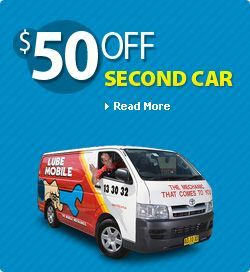 Lubemobile is Australia’s #1 fleet of mechanics servicing and repairing vehicles all over the country with over 1,661 vehicles attended to in your local area alone over the last 3 months. Regular vehicle services and jobs around your area have included Log book servicing. Our specialists have what they need to complete a full service and repair at your chosen destination including tyre replacement and specialty tyre related repairs, fixing noisy bearings and alternator inspection and replacement.